Lake Zurich HS Band: WELCOME BACK 2015!! The new year is upon us. The band just got back from Northwestern Band Day-representing Lake Zurich amongst more that 2000 HS and college musicians at halftime of the NU-Stanford Game. We are less than 2 weeks from our first Home Football game and anxiously awaiting performing for twice as many people in our new bleachers. Lots of great things in store-check back for more posts, or better add us to your RSS feed so you know when new things are added. 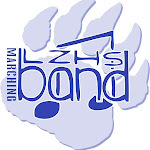 Also check lzbandboosters.com for the lastest band info.